One way to grow your audience and increase your conversion rate at the same time is to offer a Pay What You Want option. For example, for the opening week of David Cross’s feature HITS, fans could pay as little as $1 (or up to $201) for their copy of the film. 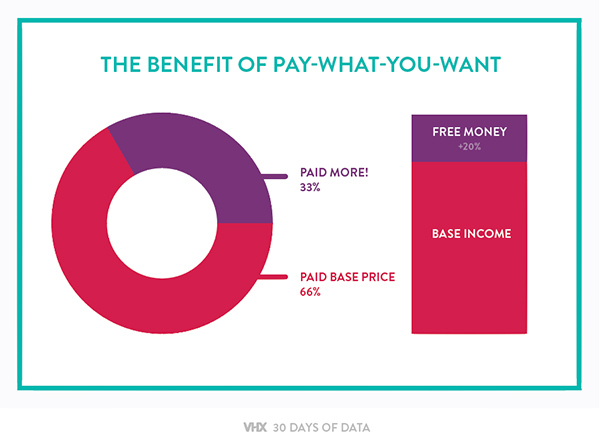 Platform-wide, we see that a third of customers choose to pay more than the base price, which leads to nearly 20% in additional revenue. So price low and let your audience’s generosity take over!